I’m incredibly lucky to have found myself in the midst of it all, a tiny part of the team that made the first direct gravitational wave detection. But what does it all mean? 100 years ago, Albert Einstein worked out that gravity could be described by matter interacting with curved space. Picture a bowling ball on a trampoline. A planet or star might curve space similar to the ball curving the trampoline, and the curvature affects how things move through space. Matter tells space how to curve; space tells matter how to move. He called this the general theory of relativity. The more curved space is, the stronger the gravity. Black holes are extremely dense objects that curve space so much, the gravity around them becomes overwhelming; nothing can escape. No atoms, no light, no information at all (with apologies to Prof. Hawking). A long time ago in a galaxy far, far away, there lived two black holes. Each was around 10 million times heavier than the Earth, or 30 times heavier than our Sun. They were bound to one another by gravity, bound into a kind of cosmic dance, swinging each another around. As the two back holes danced, they churned up space, warping it in a way that sent ripples outwards; ripples in the very fabric of space itself. These ripples are gravitational waves, and in 1916 Einstein predicted their existence but also that they would never be measured. The waves carried away with them energy, slowly draining it from the black holes’ dance so that they very gradually spiralled inwards. The closer they got the faster they swung around, and the stronger the waves they gave off making them spiral inward ever faster. For about a billion years these waves travelled through the universe at the speed of light until they came upon a reasonably average-looking spiral galaxy. Passing through one of the spiral arms, on 14 September 2015, they raced by a little rocky planet called Earth. Over 1000 scientists in 15 nations worldwide were waiting, listening out for any waves just like them. They were members of the LIGO and Virgo collaborations, and I’m extremely lucky to be one of them. The two giant detectors that make up the LIGO had just finished upgrades to become Advanced LIGO. They are L-shaped instruments called interferometers, which each span 4 km and are located at either side of the US, 3,000 km apart. An Advanced LIGO detector can measure changes in the lengths of the arms of the L down to 0.001% the width of an atomic nucleus (1 part in 10²³), and it does so by comparing how long it takes a laser to travel up and down each arm. That’s like measuring the distance to the nearest star (4 light-years away) change by the width of a red blood cell. At 09:50:45 UTC the waves from the black holes jiggled the Earth. They were absolutely tiny, mind-blowingly minute, but at peak jiggle they stretched and squeezed LIGO by 0.1% the width of an atomic nucleus; enough for us to detect them! Within minutes, computer algorithms had picked up the signal and automatically alerted us. People sprang to action. This type of alert can happen reasonably often, and will usually turn out not to be a gravitational wave, but pretty soon it was clear that this was special. In fact, it seemed too good to be true. I have to admit to being extremely sceptical, even weeks later, as I thought there was a chance that this was a test signal added to the data. It was so strong and clear, and we expected the first detections to be weak, near the brink of LIGO’s sensitivity. But eventually even I, once awarded ‘World’s Most Cynical Man’ (I doubt that’s even an official award), came to accept that this was The One. We called it GW150914 after the date of its arrival. You can listen to it in our data in the video below, and see/hear much more at the LIGO Open Science Center. Since then we have been checking and double checking everything, writing up results and getting them reviewed. And today the result was announced at a press conference in Washington DC and published in the journal Physical Review Letters. Now we can celebrate! Below is a video featuring a number of my colleagues at Cardiff University, having fun with black holes in a swimming pool. The implications of this detection will probably continue to be revealed as time goes on. Despite this only being a single detection we’ve already learned quite a bit. We now know that fairly large black holes, more than 25 times as massive as the Sun, exist. This means that they probably formed from very massive stars that didn’t lose too much of their material before they died, perhaps because they didn’t contain many heavy elements. We also now know black holes can exist in binaries with each other and merge. After they merge, it looks like they form spinning black holes just like those predicted by standard general relativity. And of course, it’s conclusive evidence that gravitational waves exist in nature, and that they appear to propagate at the speed of light. LIGO will return to observing mode later this year, and will be joined by Virgo. We can expect to make many more detections then, and in the following years. New detectors in Japan (KAGRA) and possibly a LIGO-India, will only add to the scientific insights we can gain. I’m just a lowly postgraduate student and have only been a member of the LIGO Scientific Collaboration for 3½ years, but many have worked for decades and entire careers towards this point. Many are no longer in the collaboration, but played no less a role in the path to this discovery. And some, sadly, are no longer with us. 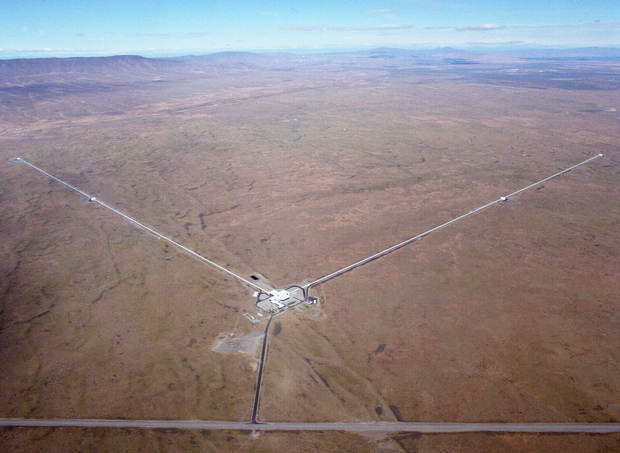 Gabriela Gonzáles, the Spokesperson for the LIGO Scientific Collaboration, called it a “worldwide village”. It’s humbling to be a villager here. Christopher Berry – Advanced LIGO detects gravitational waves! Sean Leavey – First Detection of Gravitational Waves! Brynley Pearlstone – Einstein Was Right!